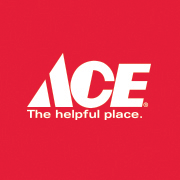 Ace Hardware of Lake Gaston opened for business on Nov 16, 2007. Thanks to our loyal customers, we have weathered some very difficult economic times over these past five years and we are cautiously optimistic about the growth in our local economy in 2013. It's vitally important to support all of our local businesses around the lake, and we know we can count on your continued support.